The National Organic Program provides rigorous standards, under the widely-recognized USDA Organic seal, for the production of organic crops and livestock products, giving consumers confidence that the organic foods they purchase meet their expectations in the fastest-growing industry segment. Background: Organic food sales have grown rapidly in the United States. The organic food market was $28.4 billion in 2012, according to the U.S. Department of Agriculture (USDA), comprising more than 4% of all U.S. food sales. While this is a small segment of total food demand, growth rates for organic foods have far outpaced those for overall food sales, which tend to advance with population growth. In the early 2000s, organic sales grew by double digits each year. Percentage growth has slowed to single digits on a larger base but still outpaces conventional sales growth. Adoption of organic systems is highest in the fruit and vegetable sector, and low for major field crops, with dairy and livestock in between. Overall, only a small portion of crop and pasture acres (0.8% and 0.5% respectively) were certified organic by 2011; the higher percentage of total food sales reflects the high value per acre on these lands compared to field crops. Program Operation: Since 2000, USDA’s Agricultural Marketing Service (AMS) has promulgated standards for organic foods in response to a mandate from Congress. AMS defines “organic” as “a labeling term that indicates that the food or other agricultural product has been produced through approved methods that integrate cultural, biological, and mechanical practices that foster cycling of resources, promote ecological balance, and conserve biodiversity. Synthetic fertilizers, sewage sludge, irradiation, and genetic engineering may not be used.” The USDA organic seal gives consumers the assurance that the product they are buying is in fact organic, and has been produced under standards that meet consumer expectations for organic products. AMS administers the National Organic Program (NOP) but receives advice from its National Organic Standards Board (NOSB), which comprises organic farmers and other experts. The NOP makes decisions on questions like which substances (e.g., feed additives) are allowed to be used in organic production, and which are prohibited. 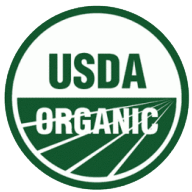 The “USDA Organic” seal is not something that farmers can simply adopt on their own. Qualifying as a certified organic farm is a multi-year process with strict standards. Each farm is certified, and then re-certified annually, by a third-party independent agent who, in turn, must be accredited through the NOP. Administration and Enforcement: The National Organic Program is operated by the Agricultural Marketing Service (AMS), an agency of the Department of Agriculture. Certification under the program is carried out by independent third parties who must be accredited by AMS. Violations of NOP rules are subject to both financial penalties and suspension or revocation of a farm’s organic certification.